San Lorenzo Park creates rich experiences. Richness of experience will correlate to use type and frequency. What indicator did you measure? 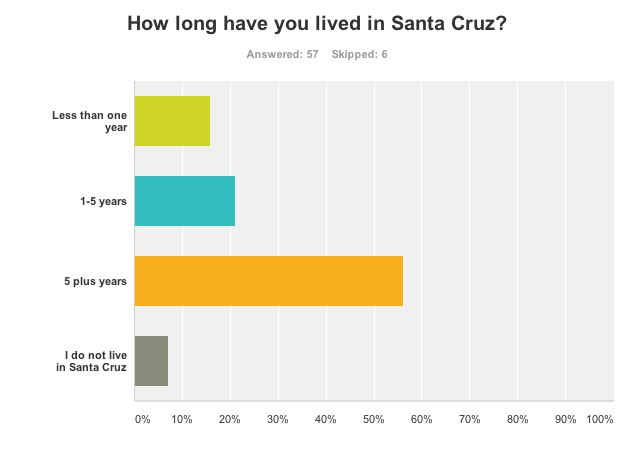 We looked for correlations in the survey responses between frequency of use and use type and what we considered "rich responses" in our survey responses, indicated by level of detail and intimacy in the memories respondents shared. i.e. responses that listed specific and/or personal details were considered rich responses. We also asked participants to rank the level of meaningfulness in their memories. How did you measure it? 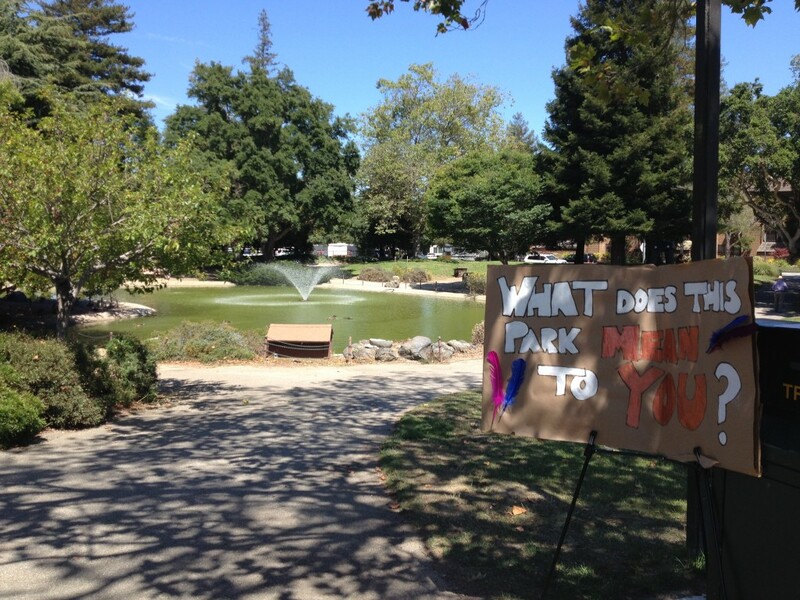 Parkpothesis engaged in surveying, interviews and observation in two locations at San Lorenzo Park and within Downtown Santa Cruz. We collected a total of 63 surveys. Parkpothesis took one average sunny afternoon in San Lorenzo park and created a pilot evaluation project with the intention of engaging the public in ethnographic forms of research, to observe public life in San Lorenzo park and to determine that San Lorenzo Park creates rich experiences for people. 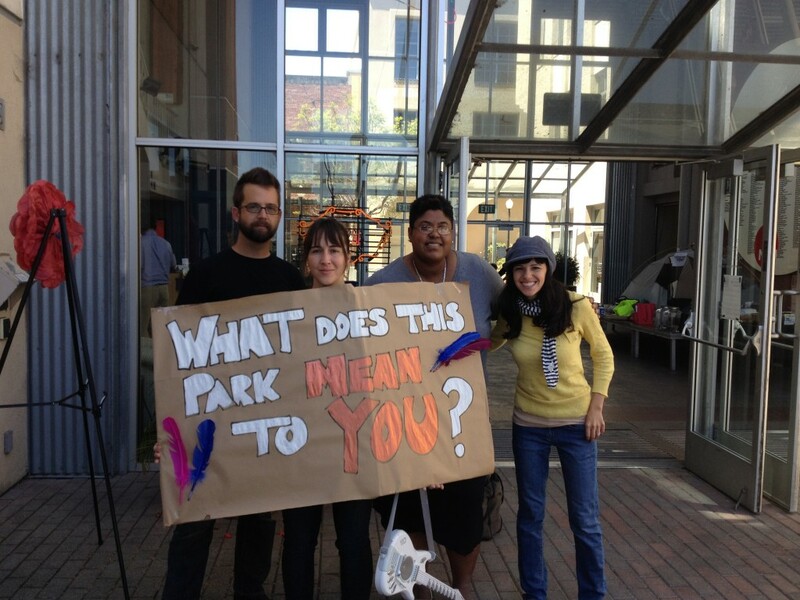 Parkpothesis members are interested in public spaces. We understand that public space impacts sense of place in communities. We found that richness of experience correlates to frequency of use and diversity of activity, but found no correlation between types of uses and richness of experiences. Frequency of use and diversity of activity in the park correlated positively with richness of experience. - Just over half used the park in more than one way. - 21 of the surveys contained what we defined as "rich experiences." - though this wasn't primarily what we were measuring, of the rich experiences, 43% were negative. -of the surveys that noted rich experiences, 81% listed more than one activity. In contrast only 58% of the non-rich experience surveys listed more than one activity. - Of the 60% of surveys that did indicate doing more than one activity, 49% contained rich experience memories, while only 16% of the surveys that only indicated doing one activity described rich experiences. - negative memories revolved around presence of homeless (perceived as dirty), crime, lack of safety, sanitation/bathrooms, inadequate services for the homeless. -In depth narrative responses are best when people have time and privacy; not when passing by in a transit zone. It takes time to develop a sense of safety when engaging in ethnographic research. The notion of "being there" when observing behavior and social perceptions also requires "being with".i.e. we may have gotten more "rich" experiences if we had given people more private time as well as more scaffolding to write their responses. -This process exposed the flaws in relying on self reporting. When using self-reporting, make sure any category or behavior with which you ask people to identify themselves us very clearly-defined and not open to interpretation or based on people's flawed memories (for example respondents may not have interpreted terms like "play" or "recreation" the same way). We learned that terms are subjective unless clearly detailed in the surveys and semantics are important to pay attention. - Also the reported richness of the experiences may have related more to factors like amount of time respondents had in the moment or their general willingness to share, rather than the types of activities in the park that prompted the experiences. 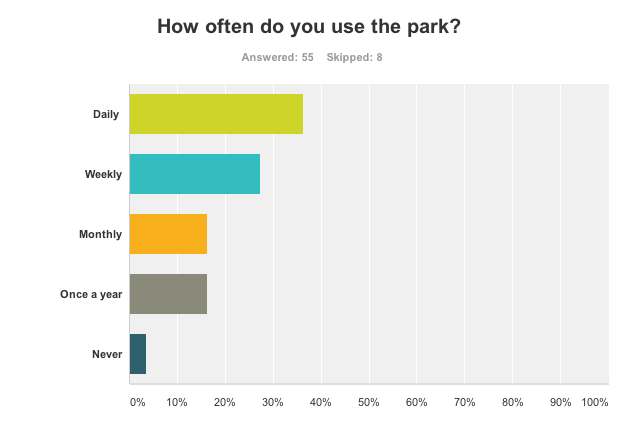 Respondents' impressions of the park seemed to support our prior knowledge of and research on the park (based on reading about it online and talking to some Santa Cruz residents before going to the park). We were surprised at the challenge of relying on self-reporting (as described above) and the wide range of factors that seemed to influence whether or not people supplied detailed stories. We were also surprised by the passion that people do seem to feel towards this park and the general willingness to speak to us about it. We did feel our survey was successful in engaging people with its short length, easy-to-answer questions and the props and signage we used to be visible and friendly.